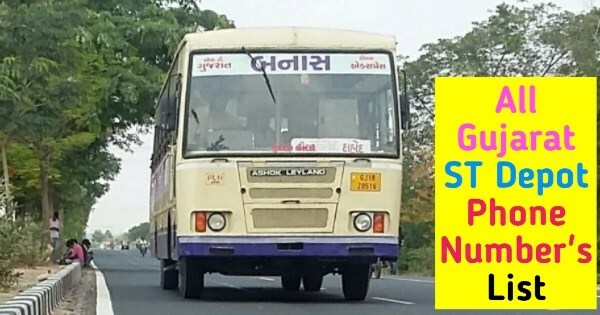 Get useful info about Gujarat's all ST Bus Enquiry Number - GSRTC All Depot Contact Number | You can find your city and get ST bus inquiry number. 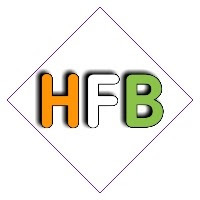 Gujarat's all ST Bus Enquiry Number - GSRTC All Depot Contact Number by HFB. Gujarat's all ST Bus Enquiry Number Which is start from " B "
Gujarat's all ST Bus Enquiry Number Which is start from " C "
Gujarat's all ST Bus Enquiry Number Which is start from " D "
Gujarat's all ST Bus Enquiry Number Which is start from " E F G "
Gujarat's all ST Bus Enquiry Number Which is start from " H "
Gujarat's all ST Bus Enquiry Number Which is start from " I "
Gujarat's all ST Bus Enquiry Number Which is start from " J "
Gujarat's all ST Bus Enquiry Number Which is start from " K "
Gujarat's all ST Bus Enquiry Number Which is start from " L "
Gujarat's all ST Bus Enquiry Number Which is start from " M "
Gujarat's all ST Bus Enquiry Number Which is start from " N "
Gujarat's all ST Bus Enquiry Number Which is start from " O "
Gujarat's all ST Bus Enquiry Number Which is start from " P "
Gujarat's all ST Bus Enquiry Number Which is start from " Q R "
Gujarat's all ST Bus Enquiry Number Which is start from " S "
Gujarat's all ST Bus Enquiry Number Which is start from " T "
Gujarat's all ST Bus Enquiry Number Which is start from " U "
Gujarat's all ST Bus Enquiry Number Which is start from " V "
Gujarat's all ST Bus Enquiry Number Which is start from " W "
Gujarat's all ST Bus Enquiry Number Which is start from " X Y Z "
👉 10 टेढ़े सवाल, जो दिमाग चकरा देंगे !! 👉 सडक को ठोस मजबूती देने वाला डामर कैसे बनता है ? GSRTC All Depot Contact Number Which is start with" A "
Q. - Ahemdabad ST depot number ? A. - Ahmedabad ST depot number is following below. Q. - Adajan ST depot number ? Q. - Ambaji ST depot number ? Q. - Anand ST depot number ? Q. - Amreli ST depot number ? Q. - Ankleshwar ST depot number ? A. - Ankleshwar ST depot number is following below. Q. - Anjar ST depot number ? Q. - Atkot ST depot number ? Q. - Ahwa ST depot number ? ➖ GSRTC All Depot Contact Number Which is start with" B "
Q. - Bareja ST depot number ? Q. - Bantva ST depot number ? Q. - Bhayavadar ST depot number ? Q. - Bavra ST depot number ? Q. - Bardoli ST depot number ? A. - Bardoli ST depot number is following below. Q. - Bhesan ST depot number ? Q. - Bhavnagar ST depot number ? Q. -Botad ST depot number ? Q. - Barwada ST depot number ? Q. - Borsad ST depot number ? Q. - Balasinor ST depot number ? A. - Balasinor ST depot number is following below. Q. - Babra ST depot number ? Q. - Bagasara ST depot number ? Q. - Bharuch ST depot number ? A. - Bharuch ST depot number is following below. Q. - Bodeli ST depot number ? Q. - Bhuj ST depot number ? Q. - Bhachau ST depot number ? Q. - Bayad ST depot number ? A. - Bayad ST depot number is following below. Q. - Bhiloda ST depot number ? Q. - Bariya ST depot number ? Q. - Bhanvad ST depot number ? Q. - Bechraji ST depot number ? Q. - Bilimora ST depot number ? ➖ GSRTC All Depot Contact Number Which is start with" C "
Q. - Chalala ST depot number ? Q. - Chhota udepur ST depot number ? Q. - Chotila ST depot number ? Q. - Chanasma ST depot number ? Q. - Chikhli ST depot number ? ➖ GSRTC All Depot Contact Number Which is start with" D "
Q. - Dahegam ST depot number ? Q. - Dholka ST depot number ? Q. - Dhandhuka ST depot number ? Q. - Dhoraji ST depot number ? Q. - Deesa ST depot number ? Q. - Diyodar ST depot number ? Q. - Dhasa ST depot number ? Q. - Dakor ST depot number ? A. - Dakor ST depot number is following below. Q. - Dharmaj ST depot number ? Q. - Dhari ST depot number ? Q. - Dediapada ST depot number ? Q. - Dabhoi ST depot number ? Q. - Dahod ST depot number ? Q. - Dwarka ST depot number ? Q. - Dhrol ST depot number ? Q. - Dhrangadhra ST depot number ? Q. - Dharampur ST depot number ? ➖ GSRTC All Depot Contact Number Which is start with" E "
➖ GSRTC All Depot Contact Number Which is start with" F "
➖ GSRTC All Depot Contact Number Which is start with" G "
Q. - Gandhinagar ST depot number ? Q. - Gariyadhar ST depot number ? Q. - Gadhada ST depot number ? Q. - Godhra ST depot number ? A. - Godhra ST depot number is following below. Q. - Gandhidham ST depot number ? Q. - Gondal ST depot number ? Q. - Gandevi ST depot number ? ➖ GSRTC All Depot Contact Number Which is start with" H "
Q. - Hansot ST depot number ? Q. - Himmatnagar ST depot number ? Q. - Halol ST depot number ? Q. - Halvad ST depot number ? Q. - Harij ST depot number ? ➖ GSRTC All Depot Contact Number Which is start with" I "
Q. - Idar ST depot number ? ➖ GSRTC All Depot Contact Number Which is start with" J "
Q. - Junagadh ST depot number ? Q. - Jamkandorana ST depot number ? Q. - Jetpur ST depot number ? Q. - Jambusar ST depot number ? Q. - Jamnagar ST depot number ? Q. - Jamjodhpur ST depot number ? ➖ GSRTC All Depot Contact Number Which is start with" K "
Q. - Kadod ST depot number ? Q. - Kathor (Olpad) ST depot number ? Q. - Kutiyana ST depot number ? Q. - Keshod ST depot number ? Q. - Khambhat ST depot number ? Q. - Kheda ST depot number ? Q. - Kapadvanj ST depot number ? Q. - Kathlal ST depot number ? Q. - Kodinar ST depot number ? Q. - Kevadiya ST depot number ? Q. - Karjan ST depot number ? Q. - Khedbrahma ST depot number ? Q. - Kalavad ST depot number ? Q. - Khambhalia ST depot number ? Q. - Kadi ST depot number ? Q. - Kalol ST depot number ? Q. - Kheralu ST depot number ? Q. - Kutchmandvi ST depot number ? ➖ GSRTC All Depot Contact Number Which is start with" L "
Q. - Lunavada ST depot number ? A. - Lunavada ST depot number is following below. Q. - Limdi ST depot number ? ➖ GSRTC All Depot Contact Number Which is start with" M "
Q. - Mandvi ST depot number ? A. - Mandvi ST depot number is following below. Q. - Mendarda ST depot number ? Q. - Malia Hatina ST depot number ? Q. - Mangrol ST depot number ? Q. - Madhavpur ST depot number ? Q. - Manavadar ST depot number ? Q. - Mahuva ST depot number ? Q. - Mehmedabad ST depot number ? Q. - Mahudha ST depot number ? Q. - Matar ST depot number ? Q. - Mundra ST depot number ? Q. - Modasa ST depot number ? A. - Modasa ST depot number is following below. Q. - Mansa ST depot number ? Q. - Morbi ST depot number ? Q. - Mehsana ST depot number ? ➖ GSRTC All Depot Contact Number Which is start with" N "
Q. - Nadiad ST depot number ? A. - Nadiad ST depot number is following below. Q. - Narayan Sarovar ST depot number ? Q. - Naliya ST depot number ? Q. - Nakhatrana ST depot number ? Q. - Navsari ST depot number ? ➖ GSRTC All Depot Contact Number Which is start with" O "
Q. - Okha ST depot number ? Q. - Olpad ST depot number ? ➖ GSRTC All Depot Contact Number Which is start with" P "
Q. - Porbandar ST depot number ? Q. - Palanpur ST depot number ? Q. - Palitana ST depot number ? Q. - Petlad ST depot number ? Q. - Padra ST depot number ? Q. - Prantij ST depot number ? Q. - Pavagadh ST depot number ? Q. - Patan ST depot number ? ➖ GSRTC All Depot Contact Number Which is start with" Q "
➖ GSRTC All Depot Contact Number Which is start with" R "
Q. - Ranavav ST depot number ? Q. - Radhanpur ST depot number ? Q. - Rajula ST depot number ? Q. - Rajpipla ST depot number ? Q. - Rapar ST depot number ? Q. - Rajkot ST depot number ? A. - Rajkot ST depot number is following below. ➖ GSRTC All Depot Contact Number Which is start with" S "
Q. - Sanand ST depot number ? Q. - Surat ST depot number ? A. - Surat ST depot number is following below. Q. - Songadh ST depot number ? Q. - Somnath ST depot number ? Q. - Siddhpur ST depot number ? Q. - Sihor ST depot number ? Q. - Sevaliya ST depot number ? Q. - Sojitra ST depot number ? Q. - Savarkundla ST depot number ? Q. - Sankheda ST depot number ? Q. - Shamlaji ST depot number ? Q. - Santrampur ST depot number ? Q. - Surendranagar ST depot number ? Q. - Sayla ST depot number ? Q. - Saputara ST depot number ? ➖ GSRTC All Depot Contact Number Which is start with" T "
Q. - Talala ST depot number ? Q. - Tharad ST depot number ? Q. - Talaja ST depot number ? Q. - Tarapur ST depot number ? Q. - Talod ST depot number ? ➖ GSRTC All Depot Contact Number Which is start with" U "
Q. - Upleta ST depot number ? Q. - Umreth ST depot number ? Q. - Una ST depot number ? Q. - Unjha ST depot number ? ➖ GSRTC All Depot Contact Number Which is start with" V "
Q. - Vadodara ST depot number ? A. - Vadodara ST depot number is following below. Q. - Viramgam ST depot number ? Q. - Valod ST depot number ? Q. - Vyara ST depot number ? Q. - Visavadar ST depot number ? Q. - Veraval ST depot number ? Q. - Vanthali ST depot number ? Q. - Vallabhipur ST depot number ? Q. - Vasad ST depot number ? Q. - Vagra ST depot number ? Q. - Vaghodia ST depot number ? Q. - Vijapur ST depot number ? Q. - Virpur ST depot number ? Q. - Visnagar ST depot number ? Q. - Vadnagar ST depot number ? Q. - Valsad ST depot number ? Q. - Vasanda ST depot number ? Q. - Vapi ST depot number ? A. - Vapi ST depot number is following below. ➖ GSRTC All Depot Contact Number Which is start with" W "
Q. - Wankaner ST depot number ? ➖ GSRTC All Depot Contact Number Which is start with" X "
➖ GSRTC All Depot Contact Number Which is start with" Y "
➖ GSRTC All Depot Contact Number Which is start with" Z "
Q. - Zaghadia ST depot number ? Q. - Zalod ST depot number ? A. - Zalod ST depot number is following below. Share also @ Facebook & Twitter.